We know PDF inside-out. Coherent Graphics Ltd are the authors of CamlPDF (our own PDF technology) so we can customize down to the smallest detail without compromise. We specialize in format conversion (to and from PDF) and command-line utilities for batch creation and modification of PDF or data-extraction from PDF. We're happy to work on small projects as well as larger ones and can work to fixed-price or hourly contracts as appropriate. Extract data from proprietary file formats, collate and index it, and output to PDF. Provide PDF output or input capabilities for your existing programs. Join multiple PDFs into one, combining indexes and bookmarks. 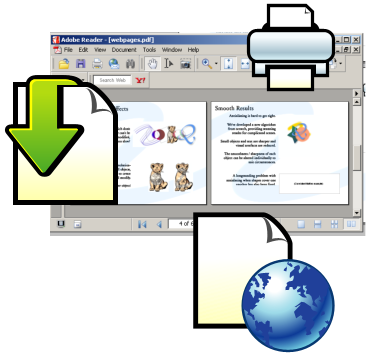 Alter existing PDF files in almost any way. Automate PDF creation based upon user input. To discuss your requirements, please email us.